Ahh ... Spring Break!! The one time of year when college students, from all over the nation, pack little more than bathing suits and an appetite for partying, and migrate south in numbers that boggle the mind. Their only focus bent on finding warm beaches with hot nights. For time eternal (or at least since the 50’s), Florida beaches have been the favorite landing spot for such party animals, and the beaches do not disappoint. Though my college days have come and gone, research & experience have given me some insight as to where to find the best of these beaches. 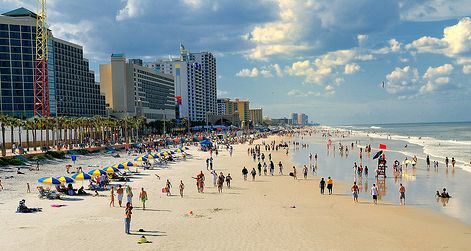 Though a relative newcomer to the scene, Panama City Beach has quickly become the beach to be at, if partying is what you are all about. This beach, during spring break, is not for the faint of heart. Girls (and boys) went wild here long before the show first started. Now even MTV has made PCB the location of its spring break headquarters. Panama City Beach is located in the panhandle, so check your forecast. The weather might be a little cool sometimes, but the party scene is always HOT!! Calling itself “The World’s Most Famous Beach”, this place party’s mostly year round. Whether it be Spring Break, the Daytona 500, Bike Week, or whatever- there is always something going on here. This is a great party beach year round. It is also one of the few beaches that allow vehicles on the sand. Because of this Car & Bike shows are often a part of the festivities. 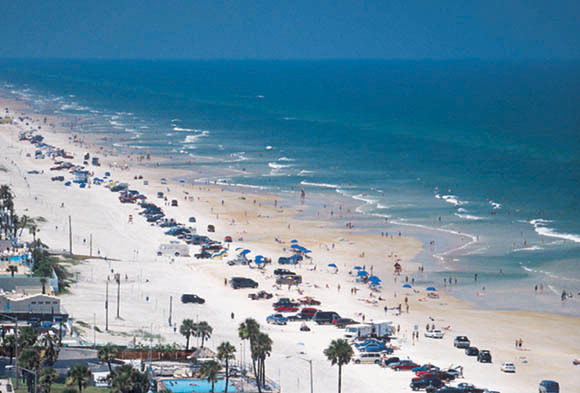 Though Daytona might argue otherwise, this is the beach where it all began. Back in the 50’s, when most of America could only watch beach parties at the movies, a bunch of adventurous college kids bucked tradition and headed here for serious stress relief. Thus, the party began. Unfortunately though, the city has really curbed the revelry here, so this is not the spot it used to be. Don't worry though, if you really want to party, there are some great alternatives. Beautiful Gulf Coast beach that has tons to do both day & night. Being part of the Tampa Bay Metro, you have activities available ranging from red hot beach parties to Spring Training baseball. It is part of a long string of beaches, so you will also have plenty of places to stay. 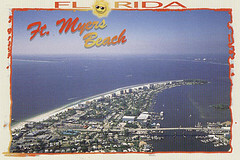 It is 30 miles south of Daytona beach and has been around just about as long. Party life is good here, and it is close to Orlando too. That gives you a whole different set of things to that can't be done anywhere else! The southern most of these beaches, it is quickly becoming more widely known for it’s good time atmosphere. 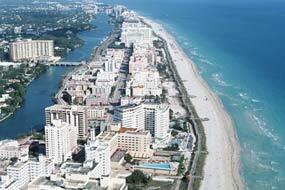 The area has some of the most diverse beaches you will find in such a small area. 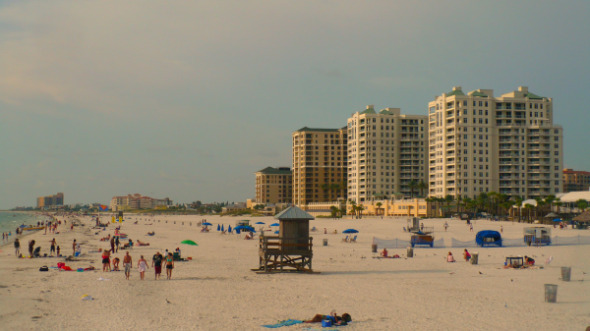 From the quiet of Sanibel to the luxury of Naples, Ft Meyers has a Spring Break for everybody. What Is your Favorite Spring Break Story? Spring break is an annual binge into a party abyss designed specifically for college students. With each year the beach hot spots often try to top the year before. It has even reached the point where major recording artists put on concerts, just to be a part of the huge parties. What A Blast!! What would you title your story? TIP: Since most people scan Web pages, include your a great introduction in your first paragraph.